The months of February and March are the peak months for California and Mexico asparagus air exports. Central to these movements is Los Angeles International Airport (LAX). 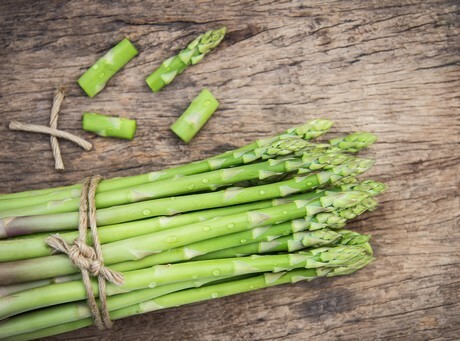 Along with cherries and strawberries, asparagus is one of the top three perishable products based on tonnage exported each year by air from California. Starting first in late January with shipments of Mexican-grown asparagus and moving up the coast to shipments from various asparagus-growing regions in California, it's an intense and short peak season, and then it's over. Across a full year, asparagus may represent 4.5 to 6 percent of the overall tonnage shipped by air from LAX, but during this short February-March time frame this single commodity –peaking at over 8 million kilos in a month– can represent up to 23 percent of the gross tonnage of all commodities exported from LAX. This level of concentration is remarkable considering that LAX is such a large and diverse international air cargo gateway. From an air cargo perspective, asparagus is typically welcomed by the local LAX airline community as the year's first healthy injection of export volume. The product is dense, well-suited to the lower deck cargo holds, and it stacks consistently to maximum weights of 4,500 kgs and more on 96 x 125-inch airline pallets. Asparagus flies on the various international passenger or freighter flights directly from LAX to Asia, Europe or the South Pacific. In addition, major U.S. passenger airlines such as American, Delta and United with domestic widebody flights from LAX to Midwest or East Coast U.S. gateways also have the ability to route asparagus destined for Europe into these hub cities.